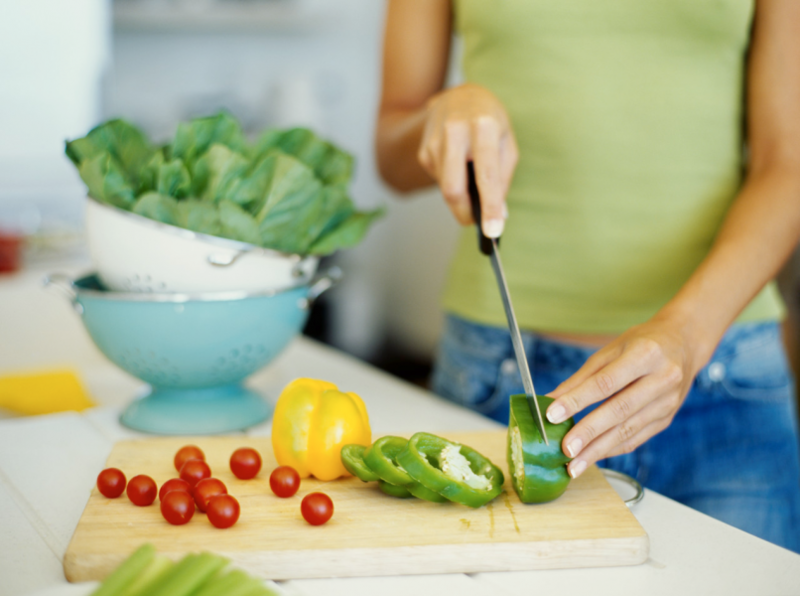 The easiest way to ensure you stick to any healthy nutrition plan or diet is by learning to cook. While picking something up from a restaurant on the way home might be easier, fixing your own meal is the only way to really know what you’re eating. Restaurants load their meals with salt, excess fat in the forms of butter, oil, or cheese, and other nasty additives like MSG. Think about it, the tastier the menu item the more likely you’ll come back for more. Don’t be fooled by those Lean Cuisines and other processed frozen meals at the grocery store either. Read the ingredients and check the sodium. Most of them come chock full of heavily processed “food”, additives, and a truck load of salt. Do some research and pick up some healthy cookbooks that emphasize low-fat, vegetarian, vegan, or any other types of cooking you aspire to create. Or pull out some of your favorite recipes and try altering them with healthy ingredients like soy milk, healthy oils like olive, or half the butter and sugar, etc. Don’t forget about websites! Whole Foods and magazines like Self offer thousands of healthy recipes for free online. Join me in learning to cook healthier meals and snacks. It’s my number one resolution for 08′!